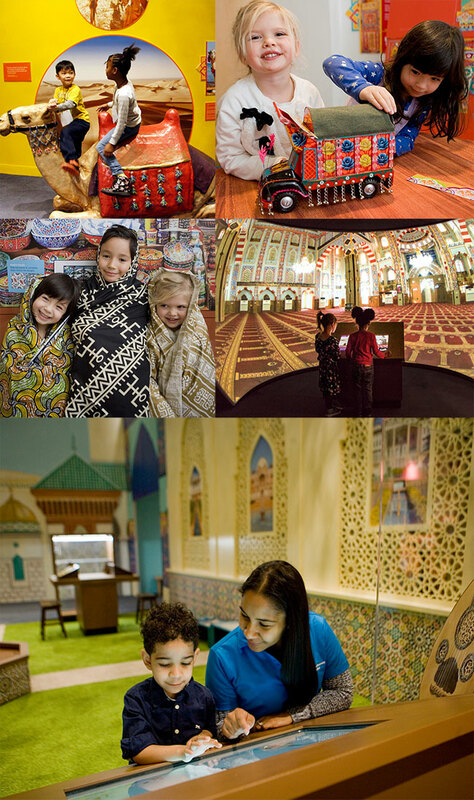 The Children Museum of Manhattan, CMOM, commissioned the office of Tarek Atrissi Design to support the museum in their special exhibition “America to Zanzibar: Muslim Cultures Near and Far”. The museum turned to us at Tarek Atrissi Design for support due to our extensive experience in exhibition design, in additional to our unique understanding of the Islamic culture and its potential graphic representation. 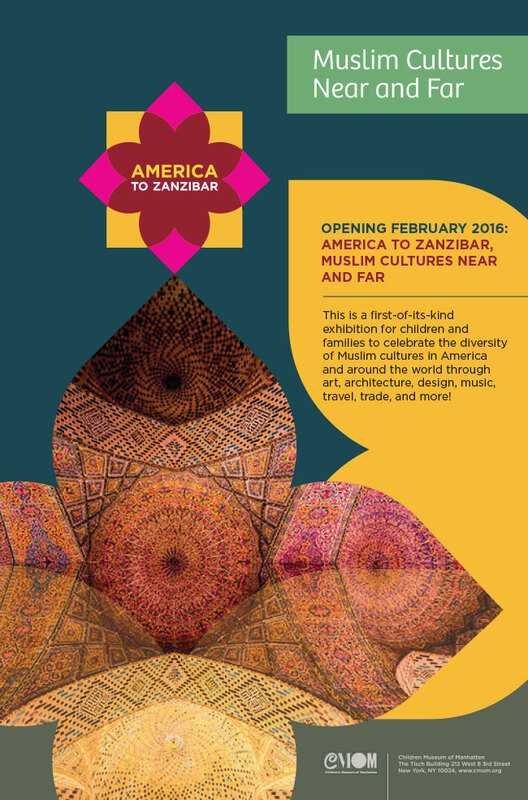 America to Zanzibar: Muslim Cultures Near and Far, celebrates the diversity of Muslim cultures around the globe through art, architecture, design, music, travel, and trade; and brings it to children to enjoy in an educational and fun interactive multimedia exhibition. The exhibition takes young people on a journey through Muslim cultures in more than 50 countries, from ancient history to the present. 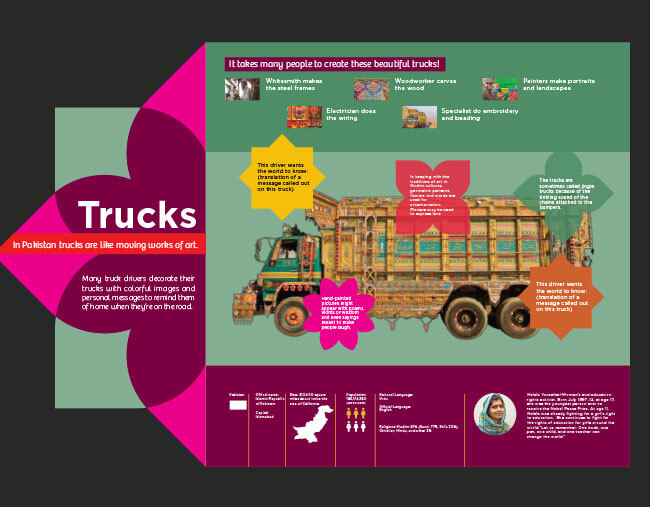 As a design advisors for the museum, our tasks at Tarek Atrissi Design included branding the exhibition and developing its visual identity; design of the styling of the exhibition 2D graphics which included the infographics, wall graphics, text and section panels; as well as designing the marketing material for the exhibition. 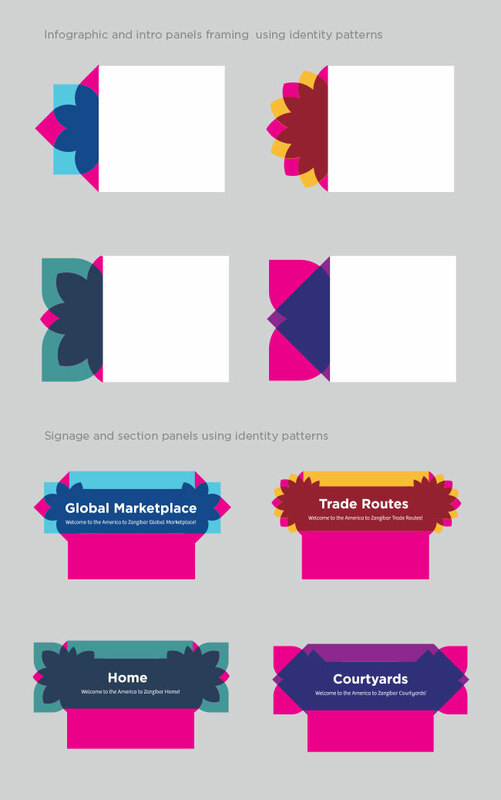 We have supported as well in the 3D design of the exhibition through creative and art direction, and by consulting on cultural relevance and by advising on Islamic design practice. The exhibition was one of the most popular ones ever hosted by the museum, and received national and international press coverage, including a feature in the New York Times. 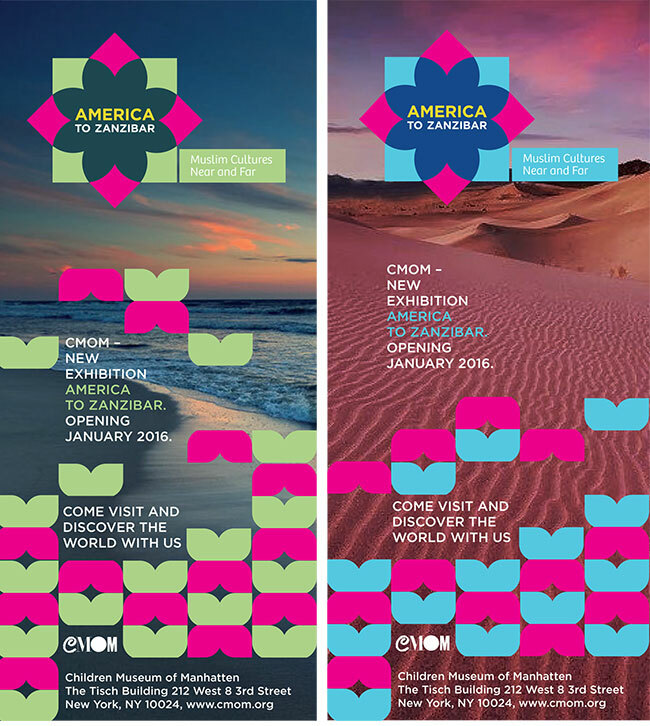 In 2018, and after an extended period of exhibition at the children’s museum of Manhattan, the exhibition “America to Zanzibar” started a national tour across the United States, bringing its success to a wider audience of both children and parents. 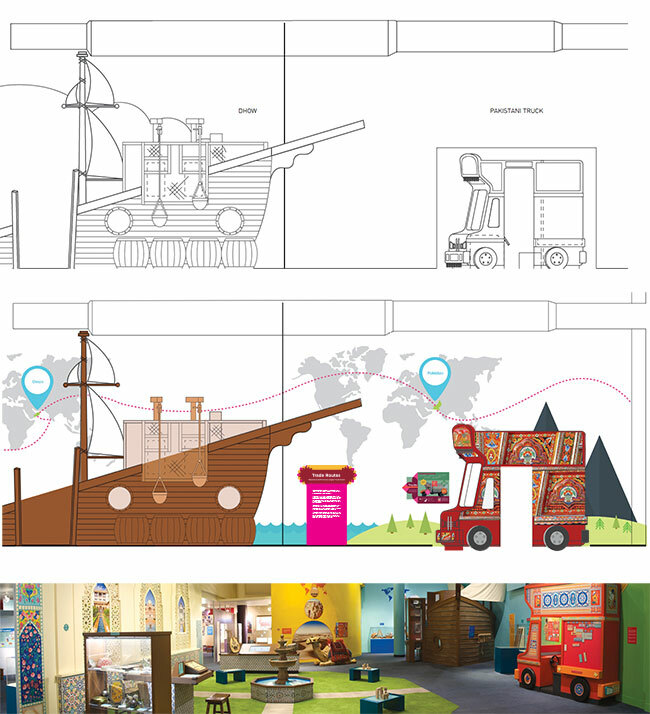 Shown on this page are various samples of the designs we have created for the museum, including the logo design and graphical visual identity guidelines, the show poster and printed flyers; Introduction and section panels; framing system for signage and infographics; as well as wall graphics and general exhibition styling.